Floronic Man as seen in the 2017 animated film Batman and Harley Quinn. Actor Kevin Durand will play DC Comics’ Floronic Man. 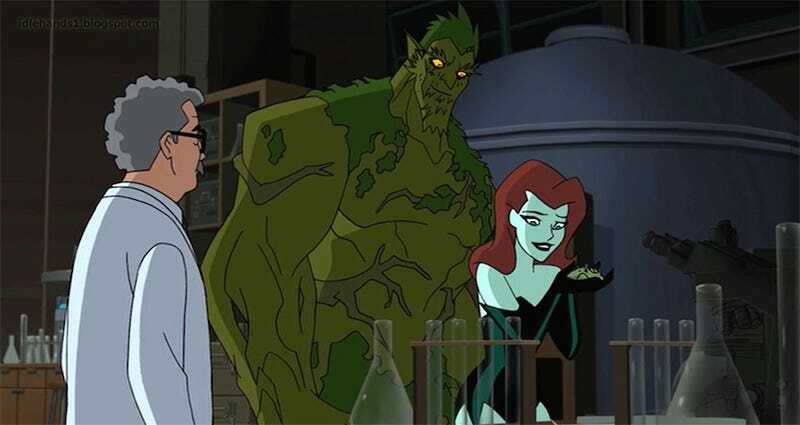 Streaming service DC Universe’s upcoming Swamp Thing television series has brought aboard the X-Men Origins: Wolverine villain to star as Jason Woodrue, the scientist-turned-plant monster. Deadline has confirmed an earlier rumor that Durand was signing up for Swamp Thing, joining Andy Bean and Derek Mears—who are playing the human and monster versions of the title hero, respectively—as well as Crystal Reed as Abby Arcane. Besides X-Men, Durand is fairly familiar with the genre world also having acted in Lost, Vikings, The Strain, and more. Prickly genius Jason Woodrue is a biogeneticist without equal and he knows it. Brought in to study the unique properties of a small-town Louisiana swamp, Woodrue becomes fixated on unlocking the potential contained within — leading to tragic and monstrous consequences. Swamp Thing has not been given a release date, but we’re guessing it could come out sometime in 2019. In the meantime, DC Universe has already released Titans, and we’re anticipating the arrival of Stargirl and Doom Patrol.